Thank you for your interest in our company and our Sewansecott™ brand ocean salt oysters and clams! Since the company’s founding in 1903 by Henry Miller Terry Sr., H.M. Terry Co has been committed to producing and delivering the finest quality shellfish. Four generations and over 109 years later, the Terry family remains true to that commitment which made the original Sewansecott™ brand oysters and clams so popular: great, salty taste, supreme quality, and freshness guaranteed! As a family owned company, the focus of H.M. Terry Co is providing a quality, sustainable product for our costumers. Our success in this goal begins with the fact that we are not only “family owned,” but “family run and operated.” In order to ensure a premier quality product, we are entirely hands on from start to finish in producing and delivering our Sewansecott™ oysters and clams. 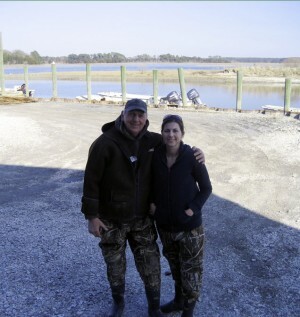 No mere businessmen, you can find any of our team—from the newest crew member all the way up to the CEO and President of the company—running boats daily in the pristine waters of Hog Island Bay, VA in order to bring the highest quality shellfish to market. In this way, we remain completely connected to the well-being of our shellfish stock and never lose sight of what’s truly important to our customers—the quality of our product in the field. Another key reason for our superior quality oysters and clams is the closed-loop production cycle we employ. Choosing from the best possible brood stock, H.M. Terry Co spawns its own clams and oysters. 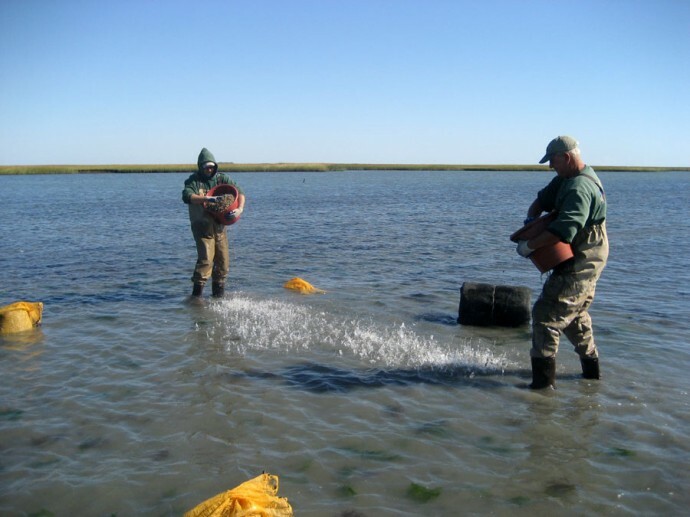 We then care for these seed oysters and clams in a nursery setting, and when the seed reach an appropriate size, we plant it in Hog Island Bay where it grows to market size in the seaside waters of the Eastern Shore of Virginia. After reaching market size, we bring our oysters and clams in from the bay, sort and count them to order, and put them directly on the trucks that deliver our fresh shellfish daily to restaurants, markets, and the end consumer. By remaining directly involved in every single step of the process, H.M. Terry Co ensures that only the freshest, highest quality shellfish leaves our facility and that you, our customer, get our product from hatchery to table with no middle man in between. Taste our Sewansecott™ oysters and clams—we think you’ll agree!